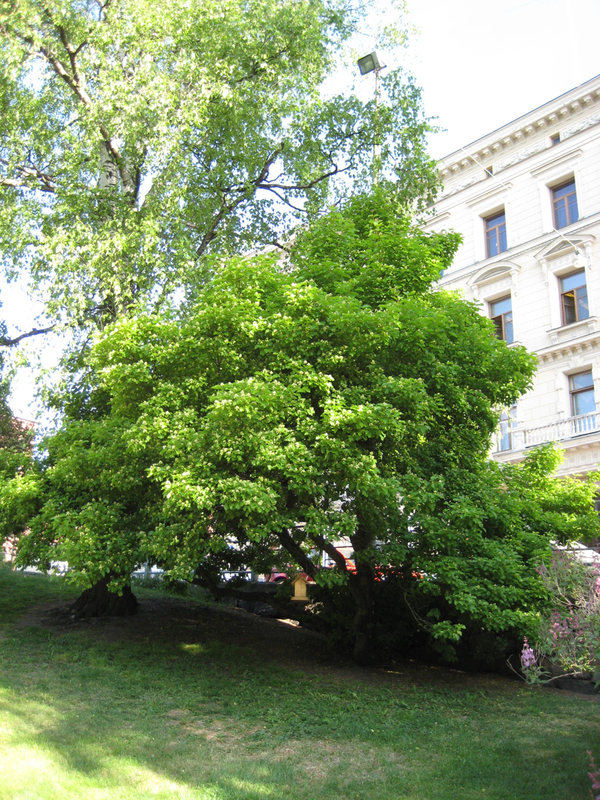 Old Tatarian maples can be seen in Helsinki and St. Petersburg, but there are not many further west. The Tatarian maple is a low-growing small tree with a rounded crown and often a twisted trunk, with lovely autumn colours. 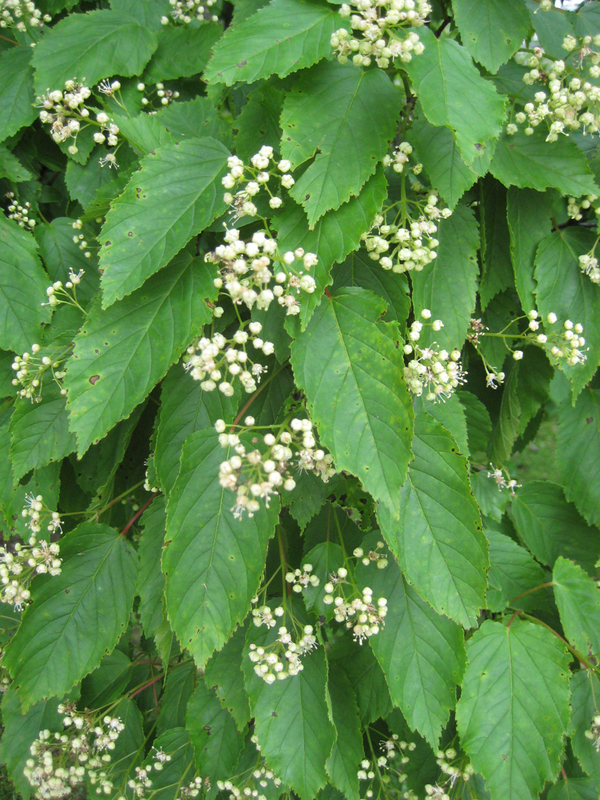 Nowadays it is not planted at all, and in nurseries it has been replaced by a close relative, the bushy Amur maple. It has lobed leaves, unlike the unlobed leaves of the Tatarian maple. 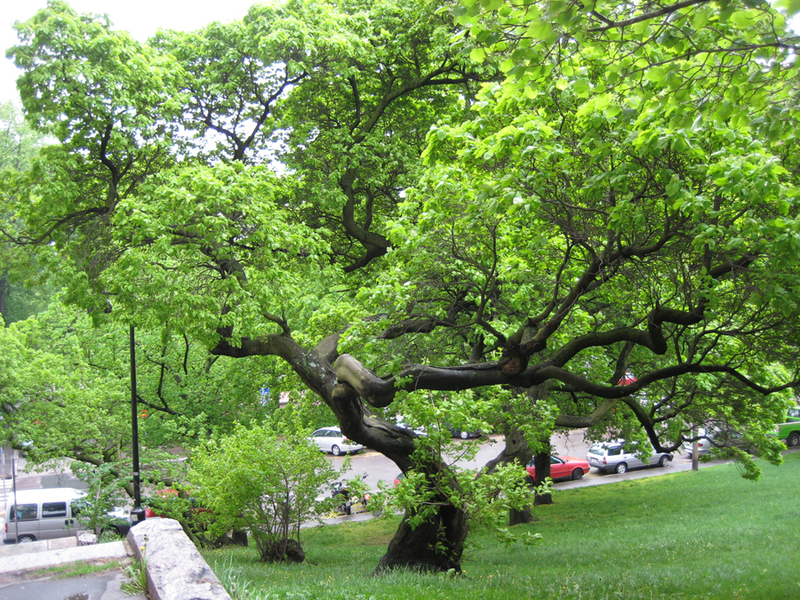 Characteristic old Tatarian maples grow in many of the old parks around the central part of the city, such as Katajanokanpuisto, Alli Trygg Park and on Tähtitorninvuori.